Home SPG How Long Does it Take SPG Points to Transfer? How Long Does it Take SPG Points to Transfer? Since award space can be a scarce resource, it is important to note that not all transferrable points transfer to their partners instantaneously. This is the third post of a four part series going over how long it takes each type of transferrable point to transfer to its partners. Today’s post is about the transfer times between Starwood Preferred Guest Starpoints and each airline and hotel partner. How Long Does it Take Membership Rewards to Transfer? How Long Does it Take ThankYou Points to Transfer? SPG to airline partner transfer times are slow compared to the other transferrable point types. There was also a lack of information about a handful of partners’ transfer times–if anyone has an experience transferring their SPG points to any of the airline partners I left blank in the chart, please share you data point(s) in the comments (please!) and I’ll update the post. As far as transferring your SPG points to Marriott points, as long as your accounts are linked the transfers should be more or less instantaneous. *Since you can transfer Starpoints to Marriott points at a rate of 1 to 3, and the partnership between Marriott and United, you can transfer from SPG to Marriott to United at a favorable rate of 18,667 SPG = 25,000 United miles, so you don’t want to transfer SPG points directly to United at 2:1. Of course, the transfer times above are what you will almost always see, but occasionally there may be a mishap with a transfer and you’re left waiting in limbo. These cases are not common, but if it happens to you, here are some tips about how to put SPG Points transfer partners’ awards on hold. You can put awards flying Alitalia’s own planes on hold for as long as two weeks. Whether or not you can put partner awards on hold will depend on the agent. Technically you cannot hold an ANA award, but Reddit claims that if you call Asiana Flying Club, you can get an award put on hold (for free) for 24 to 48 hours. I see varied information about putting Cathay Pacific (Asia Miles) awards on hold flying their own flights (don’t see any info regarding partner awards). I think it depends on who you speak to. You can put awards flying Etihad planes on hold for 24 hours. You cannot hold partner awards. Flying Blue is known for holding awards for free for up to 48 hours, but this is also going to depend on the agent. If you don’t like what you hear, hang up and call again. Award holds are allowed for free with Korean Air, no tricks or tips needed! Korean Air awards can be held for weeks and maybe even months when the awards is on their own plane. Lufthansa will allow you to hold an award for free. For how long depends on what airline you’re flying. Lufthansa, Asiana, Austrian, Croatia, Ethiopian, Jet Airways and SWISS flights can be held for up to five days, and you can holds on some other partners for up to 48 hours. Singapore doesn’t “officially” allow holds, but supposedly it is possible to put a Singapore award on hold for free. Some say you have to have 50% of the required mileage already in your account, others say 30%, and others have reported needing none. I think this is a case of YMMV. If you don’t get a good agent, call back until you find one that will hold your award. Upon Arriving has a post with tips outlining how to put a Singapore award on hold. United allows you to pay to hold an award via their FareLock option. Price depends on the award but is generally anywhere from $10 to $30. A member of our Award Booking Service team also came up with a simple hack for putting United awards on hold for free. I haven’t tried this in a while, but I assume it still works. Award holds are allowed for free with Virgin Atlantic Flying Club, no tricks or tips needed, up to 48 hours. 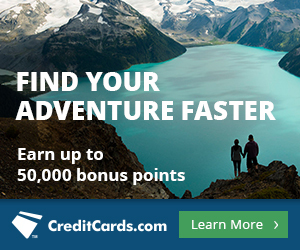 It doesn’t appear that SPG points transfer instantaneously to anyone except Marriott. Airline partners Flying Blue and Alaska usually transfer within or by a day, and Aeromexico, ANA, Delta, Korean, LATAM, and Virgin Australia transfer by two days. Other partners take longer and/or I could not find solid data points about transfer times. Please contribute any you might have in the comments below to help me complete the chart! 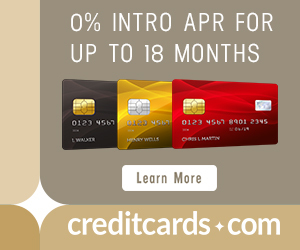 And don’t forget that both of American Express’ SPG cards–the personal and business version–have record high sign up bonuses at the moment that allow you to earn 35,000 SPG points for spending $5k and $8k respectively within the first six months of opening the card. Those bonuses only last through April 5, 2017, which is just around the corner. Alaska took me 4 days (!) I was on pins and needles.